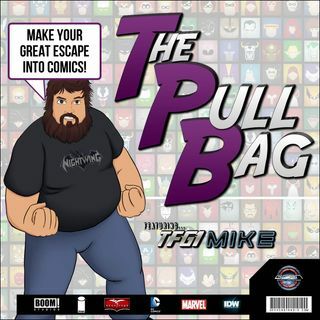 In the 133rd episode of The Pull Bag we conclude FIENDSHIP IS FRIENDSHIP FEBRUARY!!! Beatlesdiva the "Pinkie Pie of Podcasting" Joins TFG1Mike in reviewing the first two volumes of FRIENDS FOREVER!!! Which consists of four stories in each trade, by teaming up different MLP Characters! As always remember to MAKE YOUR GREAT ESCAPE into Comics!!! !